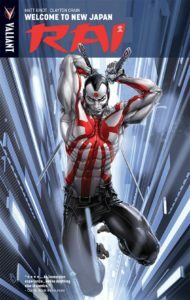 Graphic Novel Review 54/365: RAI – Valiant Comics Week! Valiant Comics Week continues with a Valiant title that I believe brings the best art thus far from a review this week. RAI is a super-dope action comic set in a futuristic Japan where an epic folk-hero names RAI protects its inhabitants. The trade consists of the first four issues of RAI and some pretty cool back matter. 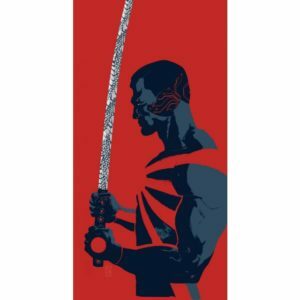 If you have been reading (or plan to read) the reviewed Valiant titles from this week, you will notice that Valiant likes to include some pretty darn cool variant cover designs in the back matter. This volume one of RAI is not different. 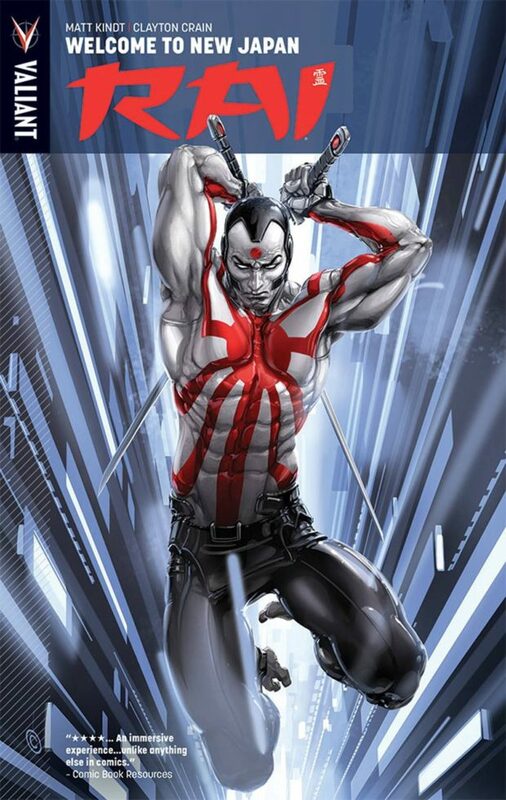 While Kinjak might contain my favorite variant covers (I actually own one as a shirt), RAI‘s are probably my second favorite…tied with Archer & Armstrong‘s. Leave me alone; I like variant titles. But the fact that RAI‘s are so high up there for me says something because it alludes to the art of the book being some of my favorite. The cool design on his chest allows for some neat artist manipulation. And let’s face it, samurai swords are better than guns.